STEPHANIE WILSON, a native of the Pacific Northwest, has produced nationally syndicated television programs for CBS affiliates. She has written and produced a television series that won a national Angel Award. In addition, she has written news copy for a local CBS affiliate and directed marketing programs for successful humanitarian organizations. Home for Christmas is Stephanie's third book following, "Whispers of the Heart," and "Our Schell Family: A Genealogy Notebook, which won an award from the national Germans From Russia Historical Society. Stephanie enjoys many hobbies. She loves to play tennis, ski, walk the beautiful streets and trails of her neighborhood and the northwest, garden, knit and spin fibers, quilt, research genealogy, cook and play the piano. She is actively involved in church, humanitarian, community and other volunteer work. She is kept quite busy with an active teenager. She also writes frequently for her own blog as well as for Good Living Magazine. Stephanie lives with her husband and son in Seattle, Washington. My Review: Christmas magic wrapped in hope, faith and joy are deftly delivered by Ms. Wilson in Home for Christmas. Savannah Wentworth and Austin Douglass couldn’t be any less alike. He’s a farm boy who has done well and on the verge of launching his IPO. She’s from money and wealth and through unfortunate circumstances, lost it all. She’s sold family home, wrapped up the estate, and ready to begin another life when her friend, Courtney, brings Austin and Savannah together. He must have an established, well decorated, and carefully designed home to host numerous holiday parties. Courtney, Austin’s PR person, pushes Savannah into being the skilled person this austere bachelor needs to host his parties, decorate his house and whose house did he purchase but the Wentworth ancestral family home. Savannah wraps herself in the trappings of the season knowing it is only temporary and only a façade it isn’t her house, but his, but something magical happens and she’s truly Home for Christmas. Ms. Wilson paints a beautiful picture of Christmas in the Northwest. Her characters are charming and believable and the story is interwoven with other subplots that keep the reader hoping it will all turn out well for Austin and Savannah. Bring tissues – you’ll need them. 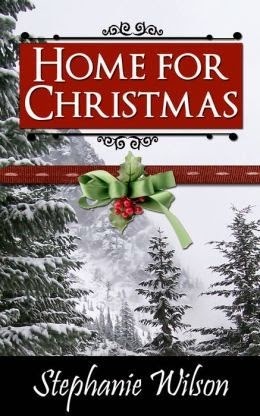 Purchase Home for Christmas on Amazon.